Chakra Meditation – in Korean!! 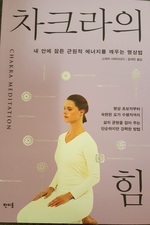 OM – exciting news – today I received a copy of the newly released Korean version of my book “Chakra Meditation“. This is the second of my books that is available in Korea. One of my other books, “The Power of Breath“, was published there several years ago.